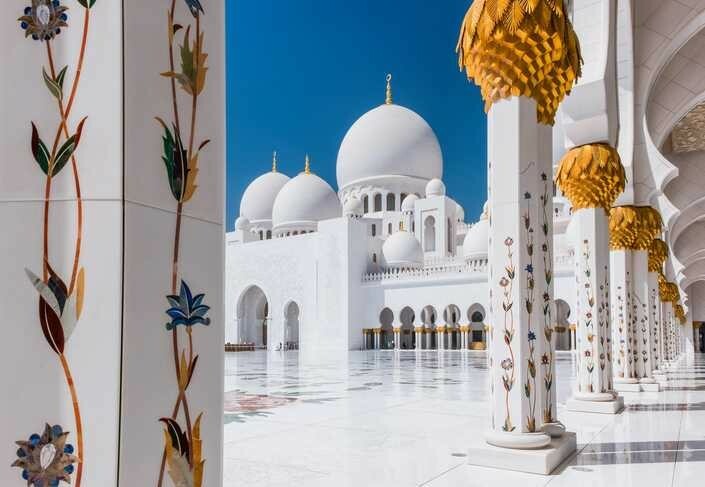 Discover the highlights of Abu Dhabi, the largest emirate of United Arab Emirates. The prominent attractions of the tour of UAE capital include sights of the evolving skyline to sandy shores and iconic buildings. The Abu Dhabi is a glimpse of Abu Dhabi’s lifestyle and a genuine indulgence for the tourist. 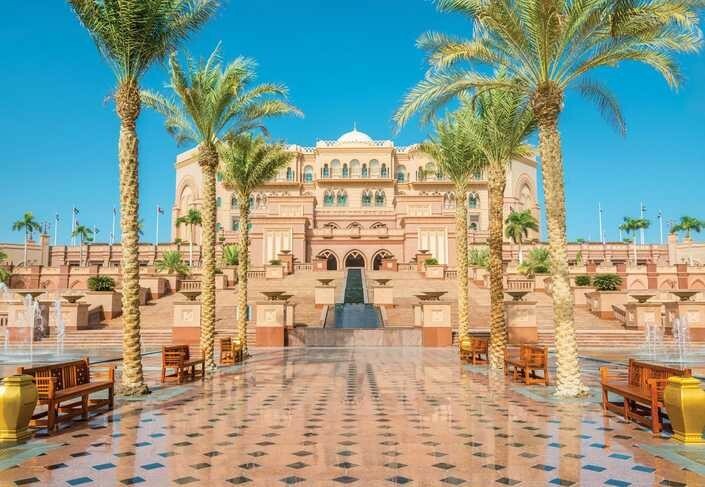 During this short yet satisfactory tour you will be taken to Corniche, Heritage Village, Marina Mall, Viewing the Emirates Palace & Sheikh Zayed Mosque. Do not miss out the chance to go sightseeing in the beautiful capital of stunning landmarks and archeological sites. Contact Us for Abu Dhabi city tour to schedule the most exciting part of your visit. Our friendly representatives are available to assist you. We rent a private car from city one tourisim for abu dhabi tour. The assigned Driver to us (Amjat) is very helpful. He is very professional in tour guiding. And also Ameen the travel agent who helped me to book the tour is very helpful and he is always in touch any time. Thank you!! Nice and safe day trip to Abu Dhabi.. Sheikh Zayed Mosque was fantastic!! Thank you jade for arranging everything for us., It was perfect!! Thank you!! This was a fantastic tour service. The tour guide was very knowledgeable and passionate about the city of Abu Dhabi. He kept us engaged the entire day by providing us with some very interesting facts about the city and the country of UAE. Thank you Ms. Jade for arranging this Tour and also recommended to us the Marina Dhow cruise, which turned out to be a fun filled evening, with delicious food and breathtaking skyscraper views. Definitely a tour not to miss, I would recommend this to all my friends and family, Thank you for an amazing trip. I was in Dubai in January 2017, we hired City One to do the Desert Safari, it was one of the best experience I had in my life? Everything was perfect, the travel, the hospitality, the food, the show, the place... AWESOME! Then we do the visit to Abu Dhabi and the Ferrari World.... I always watch the pictures and the videos I did, and it looks unreal.... City One Tourism & Travel was absolutely perfect! And I can't forget to someone, Ms. Jade... the beautiful and excellent Jade, she made all the arrangements, to have everything in time, everything was very easy to do thanks to her. Lovely and unforgettable vacations, thank you City One, and thank you Jade!!! It was such a good tour, from the very start, the dinner in the boat, desert ride more enjoyable, it will be memories for my child. Abu Dhabi, the mosque so hilarious, thanks to the tour guides, Amin, u did it while touring the city, so professional, the rest too, the Chinese guide, we made him speak our luguage so amazing. City max thank u, will send more customers, we enjoyed. Thank for keeping time always. We booked the visit to Grand Mosque in Abu Dhabi and Ferrari World. The visit was very good and the guide very polite. Ms. Jade our Agent made us feel very welcome from Inquiring until we decided to book the tour. She has sound knowledge of the places that we've covered. We had one unforgettable experience! Jade was the one who made our booking smooth-sailing. We didn't regret as we enjoyed so much. I recommend City One Tourism & Travel to future travellers. Nice experience of the 2 Parks in one day! We saw all we wanted at both places on that day. I would like to thank and recommend the hands on service of Ms. Jade for helping us and answering our queries. I was very hesitant at first that we can’t cover the places we want to see. It's definitely possible. Thanks City One and all the best. 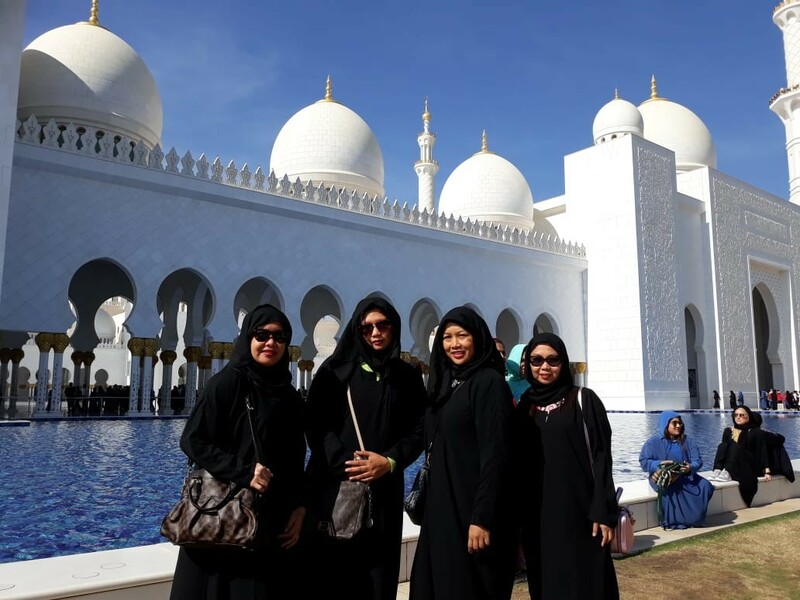 With Jades help, I was able to book a tour of Abu Dhabi a day before for myself and my family. She was great in helping me book the tour and was happy to contact me on whatsapp when needed. She also sent a confirmation straight away and was quick to respond. On the day, we were picked up on time by Ronaldo and I can definitely agree with all other reviews that he was amazing. Out of all the drivers we had in Dubai, he was by far the best; very patient, good conversations and understanding. My whole family were very happy with the tour he gave. He did not rush us at the mosque and allowed us to fully explore everything. Great driver and individual! Thank you Ronaldo for making our last day a memorable one- I am glad I booked this and I will definitely not hesitate to book again in the future! Grand Mosque - The largest mosque in the world, the lengthiest carpet made ever(artisans stayed and weaved the carpet), biggest chandelier (photo), the tomb designed in a way that the crescent moon aligns with it. A must see monument when you are in UAE! One hour drive from Dubai.. best done by travel agency like City One. Excellent service guide and driver very friendly informative and entertaining.special thanks to Amin Vhora for guide us he has very good knowledge about the city. we enjoyed and recommended this company City one tourism to our friends and family. Did abudhabi city tour. Am a resident and we group of friends wanted to explore uae. Abudhabi was a distance dream as we didn't have our own commute. It was a fun ride with Mr. Ronaldo. He had lot to say about the places. Mr. Sagar coordinated the tour. He was very cooperative. City One got a good team. Cheers guys and keep up the good work. Abu Dhabi and Dubai are such amazing cities and city one tourism and travel gives us the opportunity to visit the most famous places. Thanks Arun help me plan for our 2 tours. Thank you for your assistance! Thanks Amjad, we really appreciate your excellent customer service.Polite and friendly. Thank you to Ronaldo for his kindness.Dubai night tour was amazing. My in-laws wanted to visit Abu Dhabi for the day and I booked them a tour through City One. I talked with Jade a bit over the phone and the rest we finalized over WhatsApp. She was very quick with her replies and made the whole process of booking very hassle free. She gave us lots of information and she even texted me the name and number of the driver that would pick them up. On the day of their excursion they were picked up on time by their driver Amjat. They spent the whole day at Abu Dhabi and we’re very pleased with all the information he gave them about the city and all the places he took them. He was very organized and had even brought an abaya for my mother in law, so she could enter the Grand Mosque. I was hoping they would had a good time but it turned they had a great time and enjoyed every moment of the trip. I would definitely choose the agency again as they are professionals and care about their clients. Thanks Ms Jade for accomodating us and providing us a hassle free Abu Dhabi CityTour..two thumbs up.. I would highly recommend everyone to go with City one tours company...if you want to enjoy trip in Dubai. I’ve tried dealing with city one tourism company and it’s been a great experience dealing with such highly skilled & professional staff like JADE who facilitated everything in few minutes and made our requirements easy and sharp to the point. Thank you Jade for your assistance and thanks to city one for the amazing job. Abu Dhabi trip was amazing and we really had a great time with the tour guide Amin. It was an amazing trip with City One tourism guide Mr. Amjat Abdulla who guided us very well in Abu Dhabi. He is a very good tour guide. Shown us all the good places in Abu Dhabi and given ample time to visit them. Thanks to him! The tour of the city of Abu Dhabi was excellent, and our driver, Amtad Abdul Latif was very kind, he showed us all the attractions, told us about the city of Abu Dhabi, and helped us whenever we had any trouble.